I seem to have tasted a lot of good English sparkling wines lately – read about them here and here – well the other day I tasted yet another one that excited me enormously. So much so in fact that I made it my Wine of the Week. 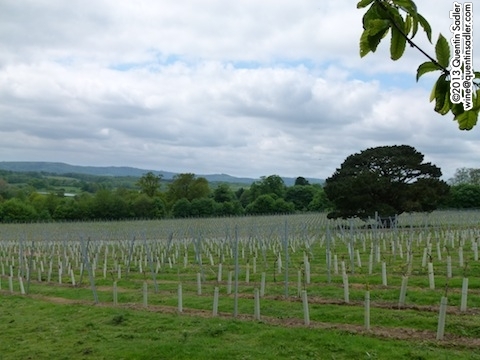 Hambledon Vineyard on a south facing slope overlooked by Mill Down House. This was the birthplace of modern English wine in 1952 – photo courtesy of the estate. 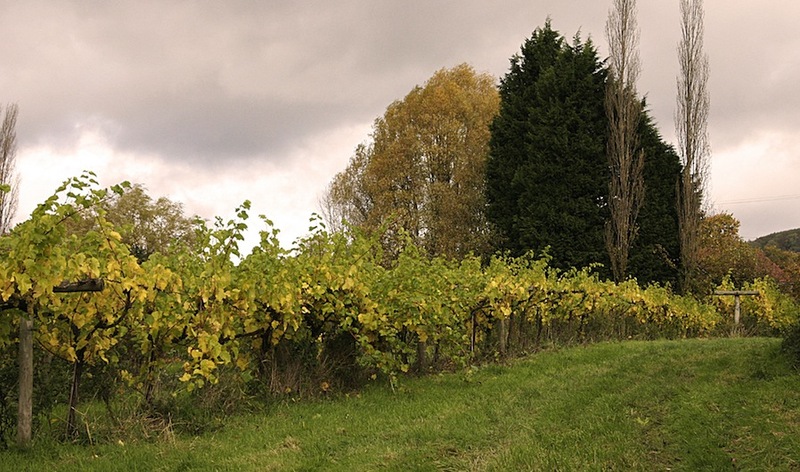 The Hambledon Vineyard is historically very important to the English wine industry, because it was the first one to make a reputation for itself and can claim to be where the English wine revival started – bizarre as it sounds, Hambledon can also claim to be where cricket as we know it today began. 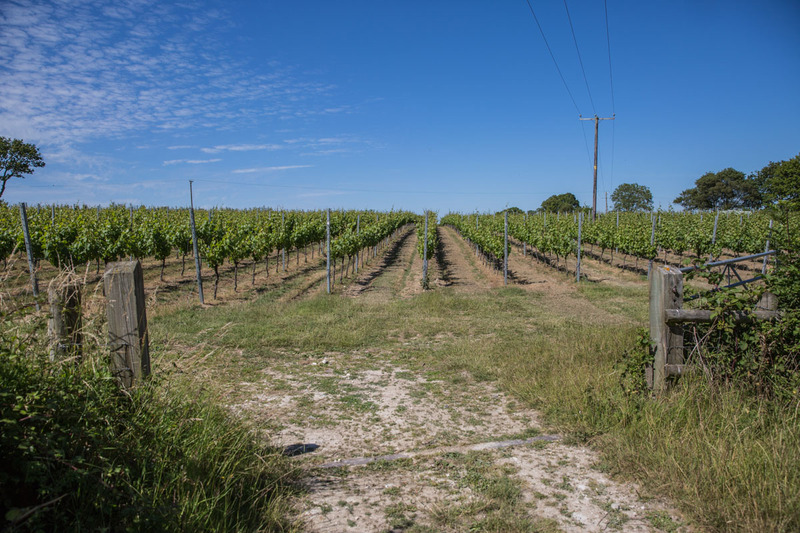 The estate was originally planted in 1952 and although the wines did create a stir and even won some awards, the vineyard remained tiny, between 1 and 4 acres at various times, and so was essentially a hobby rather than a business, as is borne out by this amazing bit of film – click here to watch it. In fact by the 1990s the few grapes they grew there were being sold to other vineyards. The estate was bought by Ian Kellet in 1999 and he decided to restore Hambledon and to make wine again. First he studied oenology at Plumpton College and then researched what would suit his land. As it is a south facing chalky slope, sparkling wine seemed a great idea and so in 2005 he planted a 10 acre test plot of Chardonnay, Pinot Noir and Pinot Meunier. Having proved that the grapes were successful there, he planted more and created the winery. Today they farm 50 acres and make the wine in a state of the art, gravity fed winery – this is much gentler on the grapes than pumping. Since 2011 they have also employed Hervé Jestin as Chef de Caves, a position he had previously held at Champagne Duval-Leroy. Looking down the slope – photo courtesy of the estate. This is the standard wine of the estate and is a blend of 60% Chardonnay, 20% Pinot Noir and 20% Pinot Meunier. 90% comes from the excellent, ripe 2013 vintage, while 10% is reserve wines from previous vintages, some of which were barrel-aged to add extra riches and complexity. In addition 6% of the wine was barrel fermented and barrel aged and after the second fermentation in bottle, the wine was aged for 22 months on the lees. The nose offers enticing freshly baked bread notes as well as plums, rich apple and a little note of smoky spice too. The palate is beautifully creamy, with a rich mousse, ripe peach and apple fruit and a lovely pure core of acidity and freshness. This sense of purity gives the wine wonderful verve and energy and balances the richness of the vintage. By any definition this is a fine sparkling wine that shows how seriously good English fizz can be – 93/100 points. Available in the UK from Hambledon Vineyard at £28.50 per bottle, Waitrose at £30 per bottle, Marks & Spencer at £29.00 per bottle – for other stockists click here and here. If you have never tasted a great English wine, or not understood all the fuss being made about English sparkling wine, then give this ago, it really is quite superb. Christmas is coming, quite fast it feels, so I am tasting a lot of wine with an eye to festive drinking. I don’t know about you, but I really like a good bit of fizz at Christmas as I can drink it with all sorts of different foods, or none. Of late I have been tasting some rather wonderful English sparkling wines and I will tell you about some of them soon, but in the meantime I tasted a surprisingly good English sparkling wine recently that is easily available and good value for money too, so I have made it my Wine of the Week – even though there is absolutely nothing to celebrate given the dire world situation today. English sparkling wine is all the rage at the moment and rightly so as they can be very good indeed. However, they aren’t all as good as the best ones, so you do have to be careful. This wine is a special cuvée made for Aldi by Denbies Estate in Dorking. I have enjoyed visiting Denbies in the past, it is a lovely place to visit with a couple very nice restaurants, a casual one and a more formal proper restaurant. However, I have often been wary of their wines in the past as I didn’t always find them particularly exciting. If this wine is anything to go by though, then I might have been doing them an injustice. I am sure that their sparkling wines used to taste very green and lean, which can be a problem in our climate, but is most certainly not the case here. 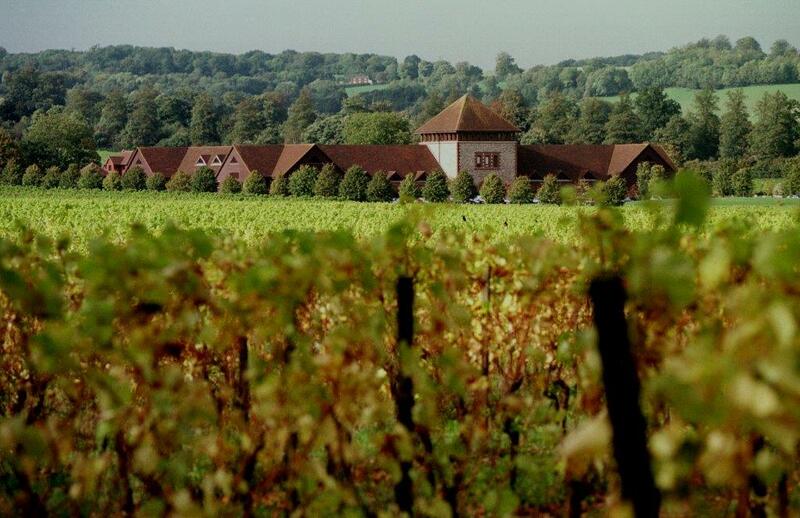 Denise Wine Estate, Dorking, Surrey – photo courtesy of the estate. The wine is made by the traditional method and is a blend of 54% Seyval Blanc, 34% Pinot Noir, 8% Chardonnay 8% and 4% Pinot Blanc, all aged on the lees for 18 months. My first clue that this might be rather good, was the rich, golden buttery colour. The nose is like freshly baked rolls and seaside rockpools together with some apple and apricot compote. The palate is astonishingly rich and weighty with a fine mousse, a remarkable sweetness of ripe apricot, orange and apple fruit as well as a little sweet spice and creaminess, although the wine is dry. I was really thrilled by this wine, it is very drinkable and enjoyable – 88/100 points. This is a good sparkling wine which gives you a good idea about English fizz and is easily available in the UK at a very good price. Available in the UK from Aldi for £14.99 per bottle – £ 89.94 per case of 6 bottles including free delivery. Oddly I rather feel as though I have really achieved something by publishing a Wine of the Week every week for the last year, as well as other articles. I hope that some of you have enjoyed reading about the wines and even tried some of them. To celebrate the first anniversary of my Wine of the Week I have decided to feature something rather special and delicious. It is an English sparkling wine, which in case you were not aware, is something that England does rather well. Ridgeview Vineyards, photo by kind permission of James Pike Photography. Contact James Pike on 01273 731745, contact@jimpix.com, jimpix.com. Address, Studio F, Stockwell Lodge, Conway Street, Hove, BN3 3LW. 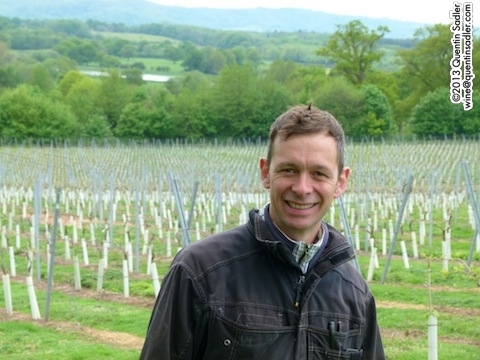 Ridgeview is one of the leading English wine estates and do not seemm to have put a foot wrong since they were established by Mike and Chris Roberts in 1994. 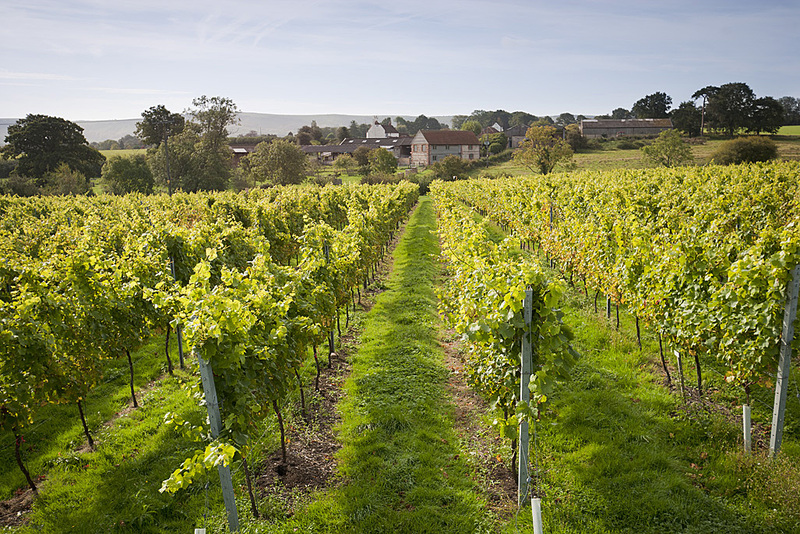 English wine had been on the cusp of achieving fame ever since the early 1980s and Ridgeview, along with a few other well known vineyards like Nyetimber, really put English wine on the map. For a start they specialised. They realised that not only was the climate of southern England remarkably similar to that of Champagne, but that the soils were actually identical. The same start of chalk that makes Champagne what it is, comes up under the channel in Sussex. So Ridgeview set out to make world class sparkling wines right from the start. What’s more, they had an angle, they called their wines Cuvée Merret in honour of Christopher Merret. Merret was a fascinating man, a Fellow of the Royal Society, he was a physician and scientist who lived from 1614 to 1695. He did all sorts of amazing things, but his chief claim to fame comes from a paper that he presented to the Royal Society in 1662. In this he described adding sugar to a wine to make it sparkling, which is the basis of the Traditional Method process as used in the Champagne region to make the wine sparkling. This presentation predates any such method being used in Champagne itself by some 30 years. So, it’s official, the English made fizz before the French. It takes guts to even attempt to make wine in England. You need to be dedicated and singleminded, probably being boozy minded helps too as it is not easy. Technically speaking as we lie north of 50˚, we are just too cold in these islands to ripen grapes properly, but happily for us the Gulf Stream tempers conditions enough to make it just about possible to achieve a crop of ripe grapes in most years – but not every year by any means. I have tasted a good few Ridgeview wines in my time and they always impress me. They seem to have an elegance and a purity about them which is exciting and shows just how good English wine can be. 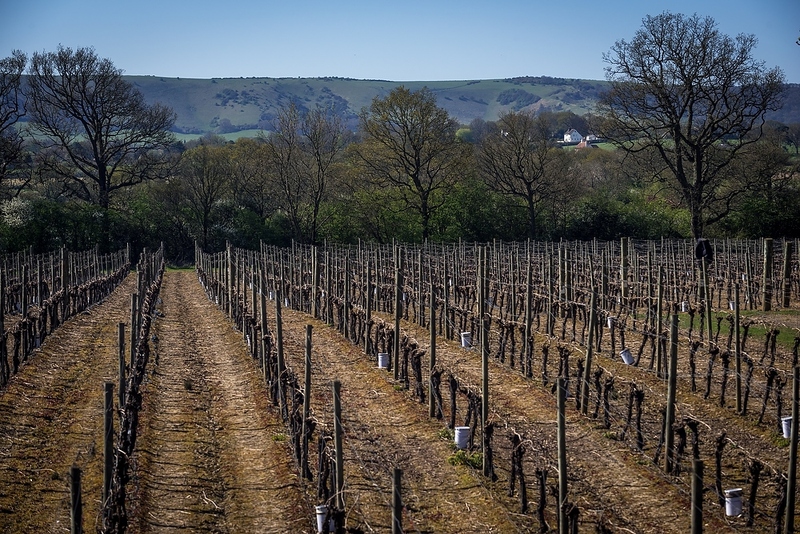 Their vineyards are all in the South Downs National Park and they planted them with the classic Champagne grapes of Chardonnay, Pinot Noir and Pinot Meunier – it is astonishing to think that the Champagne region is just 88 miles to the south. Just like in Champagne itself, the cool climate and (hopefully) sunny Autumns, slowly build up ripeness in the grapes, while retaining crisp acidity, which is vital in a good sparkling wine. Like all English wines, these are artisan wines, hand crafted wines that are produced in tiny quantities, so they are often quite hard to buy. Luckily for us Ridgeview have produced a wine for Marks and Spencer and not only is it more widely available as a consequence, but it is quite superb. Called Marksman Brut, it is a Blanc de Blancs, so made just from Chardonnay grapes and to allow complex flavours to develop, it was aged for 36 months on the lees – the dead yeast cells left over from the second fermentation. The wine is quite pale with a persistent mousse of fine bubbles. The aromas are of green apples, minerals,m a touch of ozone and a light dusting of croissant crumbs. At first the palate is very taunt and pure, but it then broadens out to a richer mouthfeel with white peach, tangy apricot, a touch of apples and a pure, almost saline quality, like a touch of the sea. The acidity is crisp and refreshing, while the mousse is firm, yet creamy. This wine is quite superb, with a lightness of touch and a real feel of freshness, but it is less austere, softer and fruitier than you first think. All in all it is a triumph and although a wine like this can never be cheap, it is great value for money – 91/100 points. Available in the UK from Marks and Spencer for £21.00 a bottle. Stockists for other Ridgeview wines are available here. Some Ridgeview wines are available in the US, stockist information is available here. Get patriotic and try this great wine as a perfect aperitif, picnic wine, or garden party tipple. It’s perfect with shellfish, white meat, fish or anything light, actually it’s even good with Thai and Chinese food. Books are one of my great passions, so books about wine, food or travel always excite me. Here are a couple of books that may well interest some of you as Christmas presents, for the foodie in your life – even if it’s you. It constantly amazes me how few novels are set in and around the world of wine. So many of us enjoy wine that it seems to me to be natural subject matter for a novel, especially when you think how beautiful and exotic most wine regions are. However, few publishers seem to agree, so there are only a handful of novels set around wine and I am always on the lookout for more – perhaps I should write one? This piece details a few as do the responses. First off this is a light read, a fun thriller type of book that aims more at amusement that suspense – if you think male Janet Evanovich that gives you some idea of the tone. Other reviewers have likened this to ‘noir’, more for the Pinot Noir joke I expect as I cannot imagine what sort of noir they have read. No this is a caper more than anything else, being gentle, fun and even amusing every now and again. It is set in San Francisco and Napa Valley in that very alien – to me – wine world where everything is swanky with private wine collections and people only drink the finest wines, even our supposedly normal hero. Woody Robins is that hero and he has a similar job to me actually, I liked him – he loves wine and cats, so what’s not to like – and we first meet him midway through investigating a missing bottle of wine. Not just any bottle either, but a double-magnum of Le Chambertin that once belonged to Napoleon Bonaparte before he became Emperor – quite a MacGuffin. I cannot tell you that this is a great book or even particularly well written, but it is great fun and the part that deals with Woody’s life has a promising array of characters to enrich future instalments. I would happily read more books about Woody, but would hope for either more suspense or laughs as well as a tighter grip on the writing. Every now and again a clumsy phrase is used to get lots of information across and it does spoil the flow somewhat. 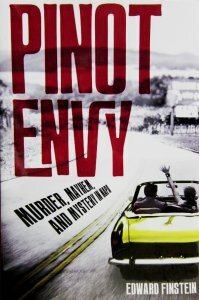 However, I am being fussy, as I should be, Pinot Envy is a good fun read that adds to the all too small library of novels set around wine and anyone who likes wine or a caper would enjoy reading it. If the British food revolution has passed you by, then this book is a great place to start. I defy anyone not to fall in love with how this book looks and feels. Designed to resemble a scrapbook, every page is a joy, rich with photographs and content. It would be torture to read it while hungry! 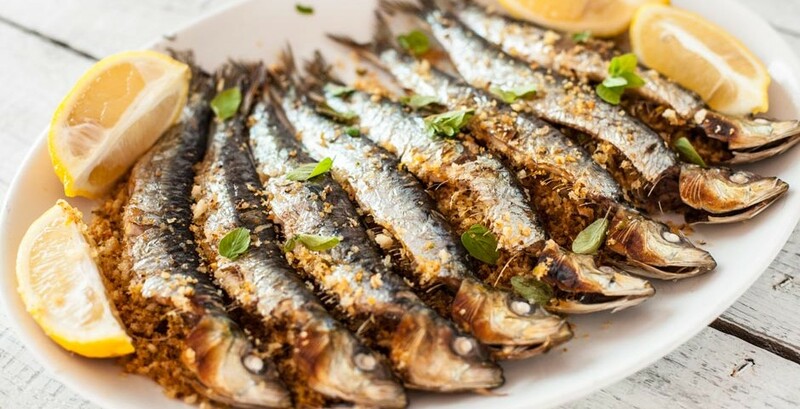 There are chapters on Cornish seafood, telling us all about sardines, curing fish, filleting fish, the effect of Rick Stein on the county and much more as well as some wonderful recipes – the crab sandwich looks delicious. The photographs make me salivate! Then there are sections on foraging for food like wild garlic and wild strawberries, as well as more coastal treats like samphire, laver and sea beets. 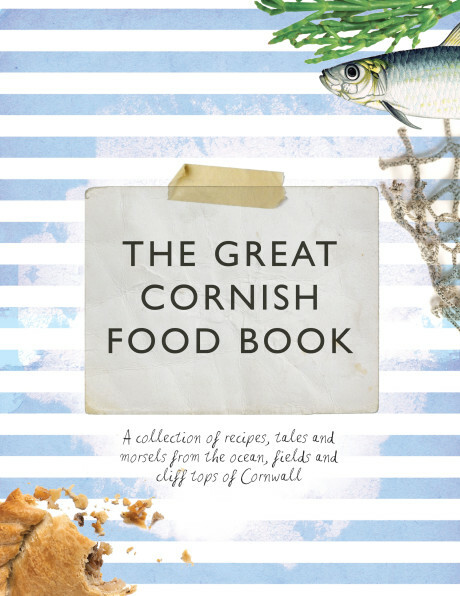 Frankly there is a wonderful surprise on every page , the chapter on Cornish cheeses in particular had me salivating, while the Cornish pasty recipe made me really want to have a go. Not sure that I could resist! 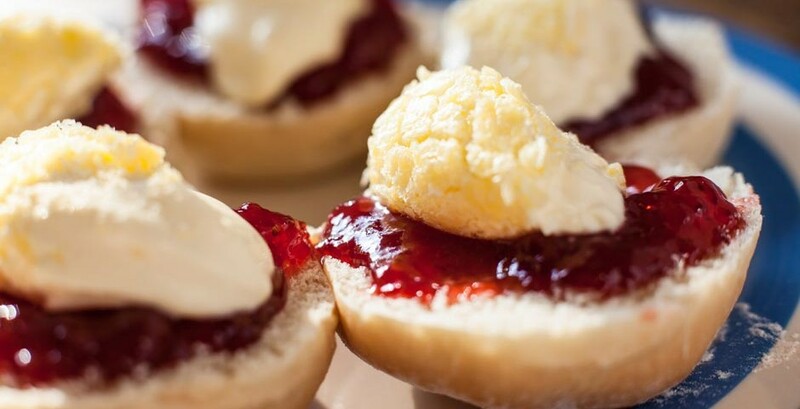 Rather wonderfully it isn’t all about food either, Cornish wine, beer and cider also get a look in, so there really is something for everyone. This book is a constant delight and would make a great present for anyone who loves food. It would also be a wonderful gift for anyone who does not realise how good British food now is and how seriously food is now taken in this country, so any French friends or relatives – anyone got Jacques Chirac’s address? So there you are, two book ideas in good time to go on your Christmas gift list. 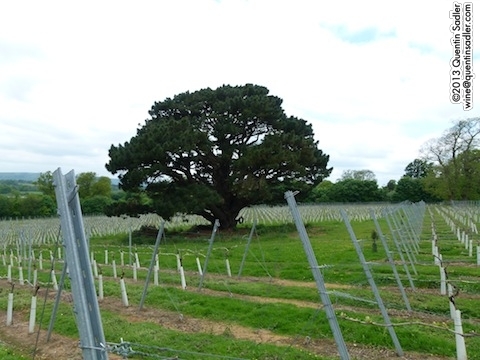 Stopham Vineyard – this lovely tree graces their label. What a day I had last week. In the evening I led a wine tasting of some of the really interesting, surprising and downright fabulous wines that I had discovered on my travels over the last 12 months – or so. 2012 was an incredible year for travel for me and 2013 is looking pretty good too, so I am constantly having wonderful new experiences – sometimes visiting regions or countries that are completely new to me or seeing new producers and winemakers in areas that I have visited in the past. Such trips push my knowledge and understanding forward and keep my passion for wine – and telling you all about it – alive. So, it might astonish you to know that my most recent trip was to – Sussex. One of the wines that I wanted to show was from Stopham Vineyards near Pulborough in West Sussex and as the wine is hard to find in the shops I dropped in to see Simon at the winery. It is a lovely part of the world on a nice day and the sun made the whole trip feel like being somewhere exotic and exciting. And of course I was somewhere exciting. I have mentioned Stopham Vineyards before when I tasted the 2010 vintage of the Pinot Gris and the Pinot Blanc, but this time I had the 2011 Pinot Gris – I have yet to taste the 2011 Pinot Blanc. If you want to try it, hunt the wine down quickly as it has almost sold out everywhere and there they made nothing at all in 2012, so you will have to cross your fingers and wait for the 2013 – if there is any. The vineyard sloping down towards the South Downs. I must say if you are feeling stressed and oppressed it is a good idea to visit an English vineyard. It must be so hard growing grapes in England, even if you have a lovely south facing, sandy and well drained slope as they do at Stopham. Nature does not mean grapes to ripen easily here – it is a matter of coaxing and hoping and lots of hard work in the vineyard and even then you can lose an entire crop. I am pretty sure that I would be under serious medication by now if that had happened to me, but Simon Woodhead – the chief winemaker and viticulturist – is one of the most upbeat jolly people I have ever met. He is also one of the most interesting and dedicated winemakers I have ever had the pleasure to listen to. Despite everything our climate has thrown at him, he told me that there is nothing else he would rather do. Simon Woodhead – a great winemaker and seemingly happy man. Strolling around his vineyard with him was a delight. Seeing it through his eyes was really a wonderful experience. To see where all the hard work goes on and to hear how he does it was a privilege. Because I know that his wines are amongst the very best produced in this country. I haven’t tasted them all so will not put it any higher than that, but I have not tasted a still white wine from England that was better. 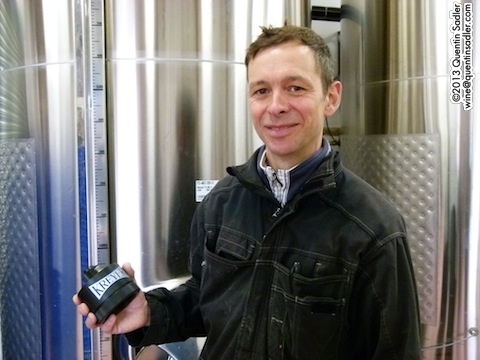 Simon in front of one of his large tanks with one of his carbon dioxide sensors that allows him to ferment his delicate white wines at 6-8˚C – he did explain it to me, but I don’t seem to have really understood it! This is a delicate Pinot Gris, not like Alsace – and not like Pinot Grigio either, there is nothing bland about this. The aromatics are wonderfully fragrant and exotic with a touch of herbs about it too – there is a little Bacchus in this wine as well as Pinot Gris. The palate is light and fresh with a lively acidity that dances across your tongue leaving mandarin and apricot flavours – indeed the whole thing is bursting with flavour – 91/100 points. I am utterly thrilled by this wine as it shows that we can make wines as good as anyone. What’s more they do not have to be hybrid grapes and we can bring our own unique take to a grape variety that is widely grown elsewhere. Do try and find a bottle if you can, it is well worth the effort. Another way to try it of course is to have a tour of the vineyard. You will get to meet Simon, listen to how he selected the site, how they planted the vineyard and how they make their wines. He kept some bottles back so that you will be able to try his wines without hunting down a stockist or waiting for the 2013 crop – go on and tell him I sent you.